The roof of a home is a critical structural part and plays a vital role in the various aspects of roof and home stability. 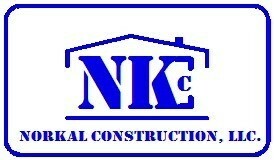 You need a professional company like NorKal Construction, to keep your roof in good shape and stable condition. Our roofers not only provide expert roof repairs, they also provide installation of new roofs per your requirements. Your roof will age with time due to its exposure to the elements, and with it being your home first line of defense, it is important to have a professional installer regularly inspects, repair, maintain your prized investment. We take great satisfaction in a meaningful job that will add years to your property and extend its value.